Classical music: Today is Valentine’s Day. What piece of music best celebrates love? 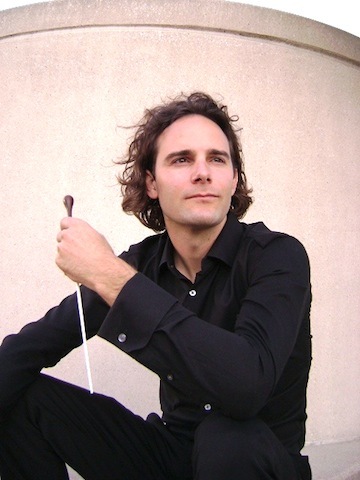 Here are Limelight Magazine’s Top 10 Sexiest Moments in Classical Music. Leave some music and words for your Valentine right here. 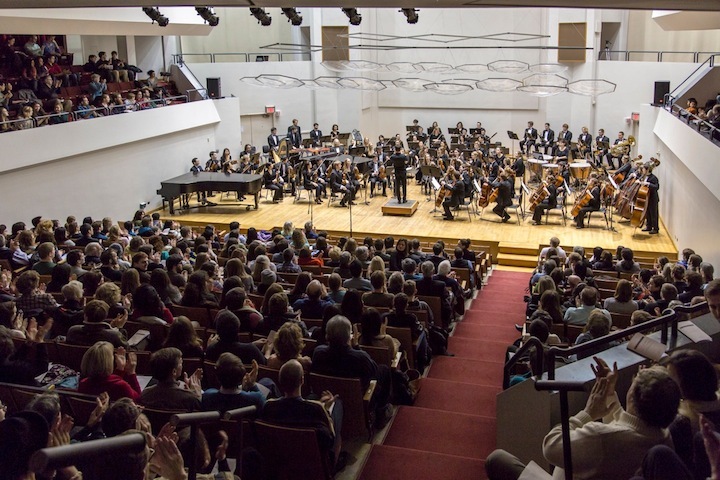 Plus, the University of Wisconsin School of Music has successfully reinvented the annual Concerto Competition Winners’ concert -– to loud approval and multiple standing ovations from a packed house. Little things can add up to a big difference. 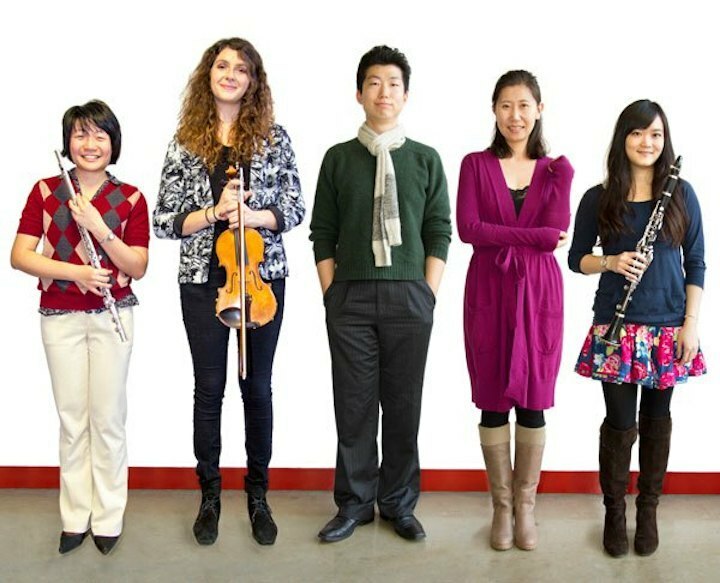 Take the annual concert given by the winners (below) of this year’s concerto competition at the University of Wisconsin-Madison School of Music. So they made a few adjustments. They booked Mills Hall for a Saturday night – last Saturday night, in fact — the best night of the week for entertainment events. 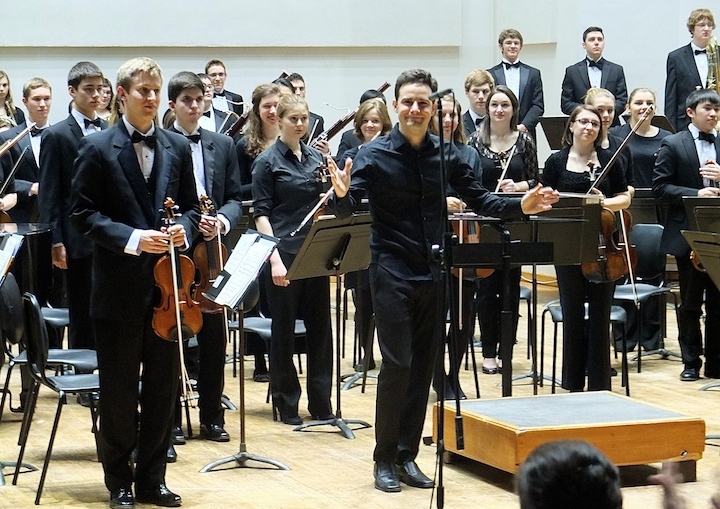 Then they rechristened the event the Symphonic Showcase, since the UW Symphony Orchestra (below with graduate student and assistant conductor Kyle Knox) is the common denominator and accompanies all the concerto winners and also premieres the winning piece by a student composer. The Ear likes that emphasis on collective or collaborative music-making. 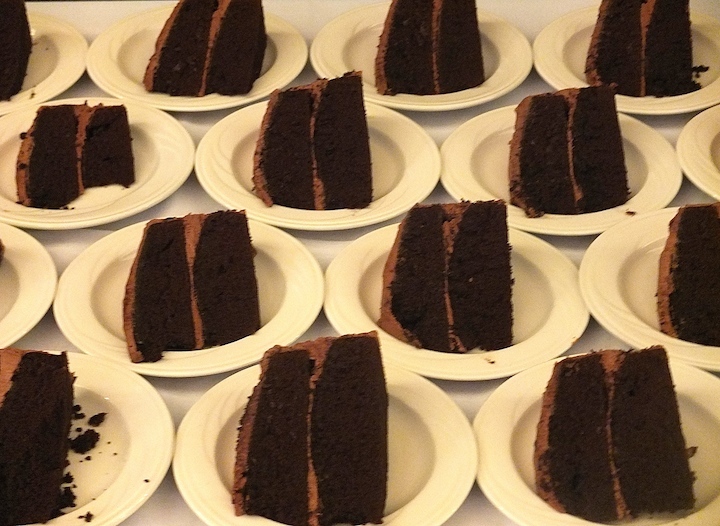 They started the concert early, at 7 p.m.
That was because they also added a small and informal dessert reception from 9 to 11 p.m. — with all the proceeds of a $10 ticket going to a student scholarship fund — at the nearby Tripp Commons in the UW Memorial Union. Nothing short of a spectacular success. Mills Hall was packed just about full (see the photo below by Michael R. Anderson). And the big, enthusiastic audience greeted each performer with cheers and a standing ovation. And they deserved that. 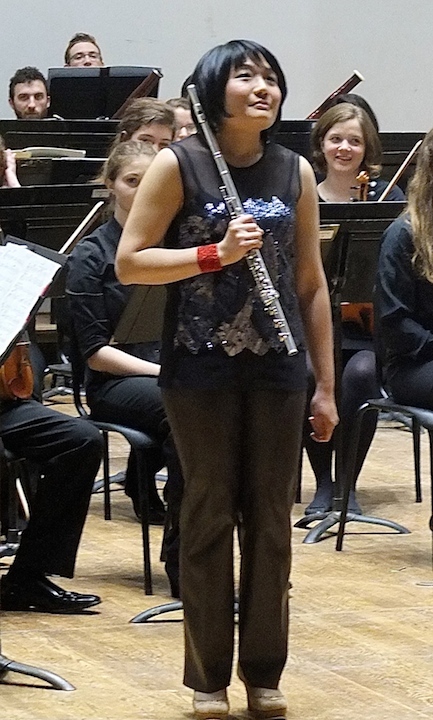 All of the winners played well and all chose great works to perform. Here a rundown by contestant. 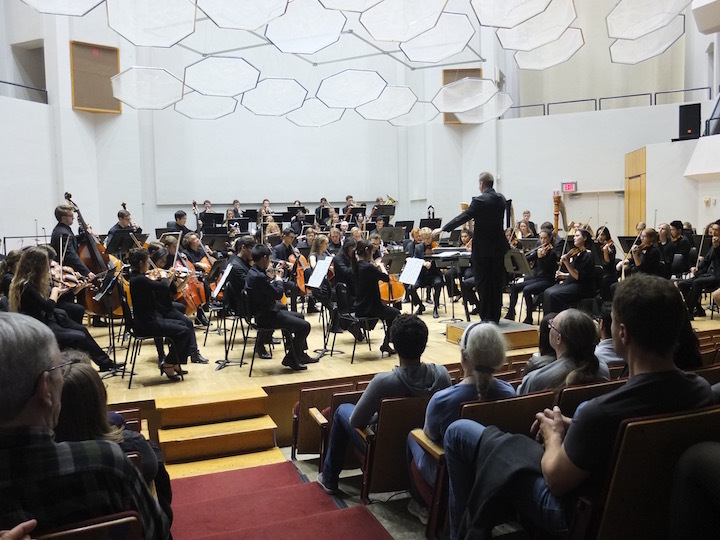 If you weren’t there -– well, you probably should regret it, You missed out on a lot of fun and a lot of beautiful music-making by a very impressive group of talented students. Maybe some state legislators were in the audience and will stop clowning around trying to micro-manage and ruin the UW while they say they’re really trying to fix it. The evening started out with an orchestral showpiece, a kind of Romantic tone poem-concerto grosso that highlighted each section. 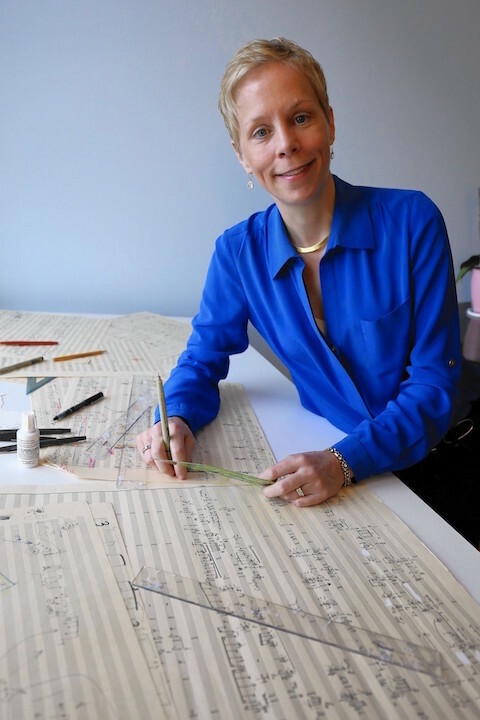 That might be expected since the “Russian Easter” Overture came from Nikolai Rimsky-Korsakov, a master orchestrator who taught Igor Stravinsky the craft of scoring music. Graduate student Kyle Knox (below) conducted and did a fine job of bouncing the music around to various sections and keeping a clear line. 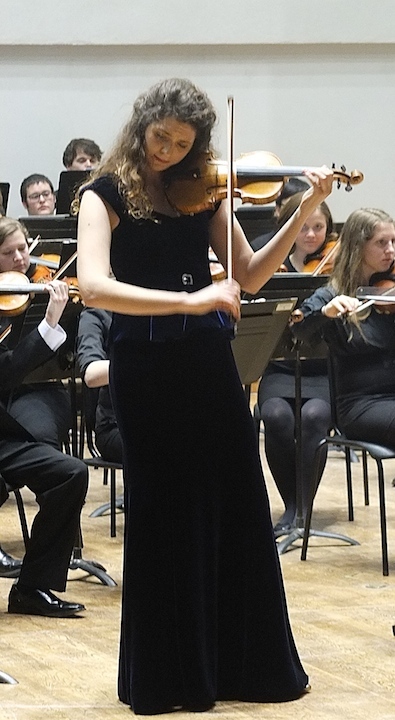 Violinist Madlen Breckbill (below) confidently commanded the stage with an appropriately lyrical and heart-breaking reading of the first movement of Samuel Barber’s masterful Violin Concerto. 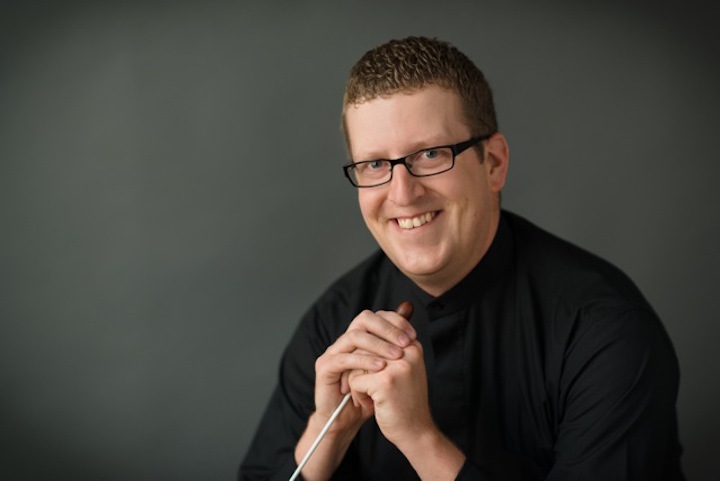 It was a thoroughly convincing rebuff to those people and critics who say you need to hear a new piece of music several times to know it is great. This kind of greatness you get from the first notes. 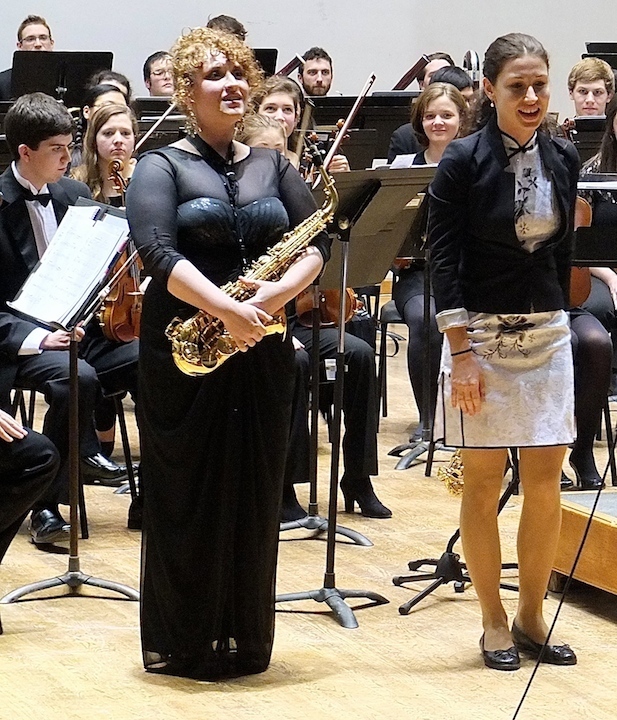 Saxophonist Erika Anderson (below left) played and projected with absorbing conviction the new “Poema” (2014) by student composer 24-year-old Russian-born composer Daria Tennikova (below right), who writes in an impressively accessible yet thoroughly modern idiom. Clarinetist Kai-Ju Ho (below top) brought both lyricism and swing to Aaron Copland’s underperformed Clarinet Concerto, pleasing conductor James Smith (below bottom right), himself a very accomplished clarinetist who performed the same concerto five times under the composer. 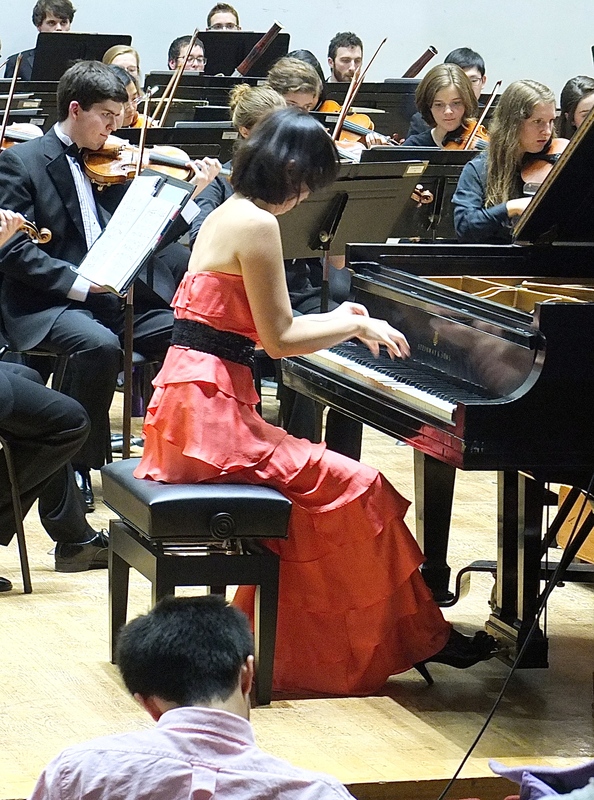 SeungWha Baek (below top, playing; below bottom by Michael R. Anderson) brought out the sizzle and virtuosity in the dazzling first movement of Sergei Prokofiev’s Piano Concerto No. 3, with its ingenious Hanon-like five-finger exercise motif – except that this is no work for beginners, as you can see and hear at the bottom in a YouTube video with pianist Martha Argerich and conductor Andre Previn. 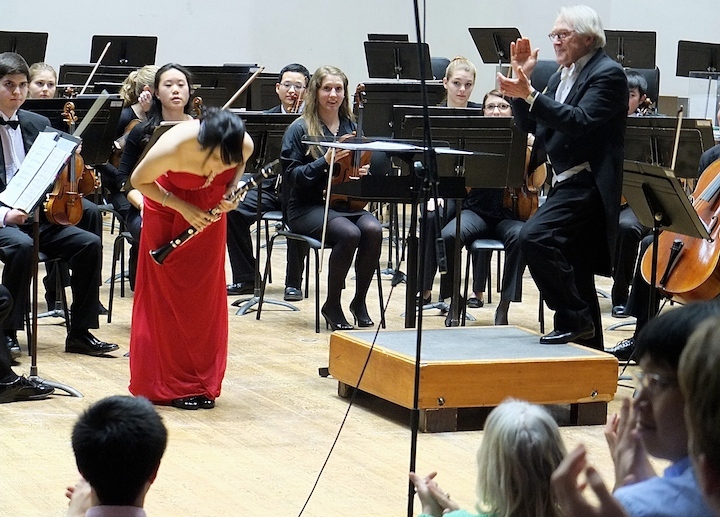 Flutist Mi-Li Chang brought beautiful tone and playfulness, even Gallic charm, to the Concerto for Flute by Jacques Ibert. 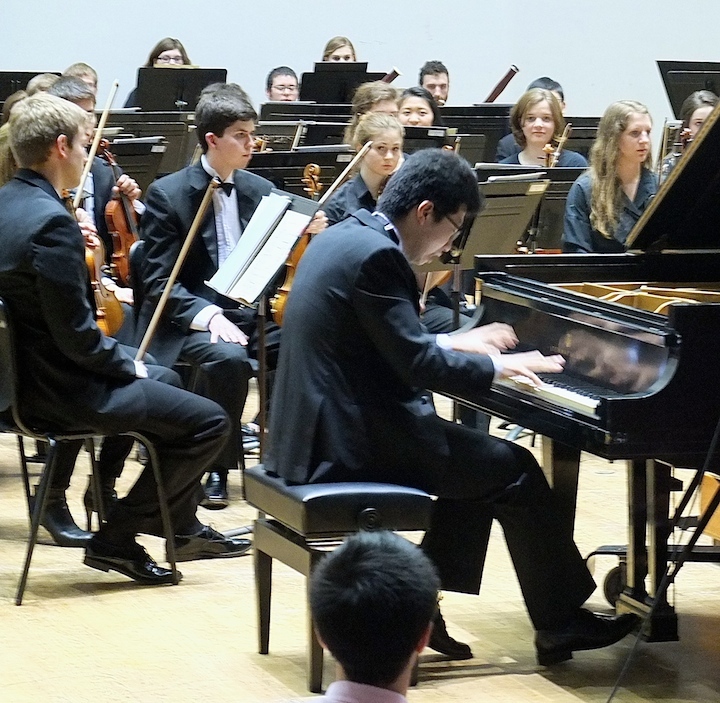 And pianist Sung-Ho Yang brought the show to a close with a surprising subtle reading of Franz Liszt’s flashy and bombastic Piano Concerto No 1. 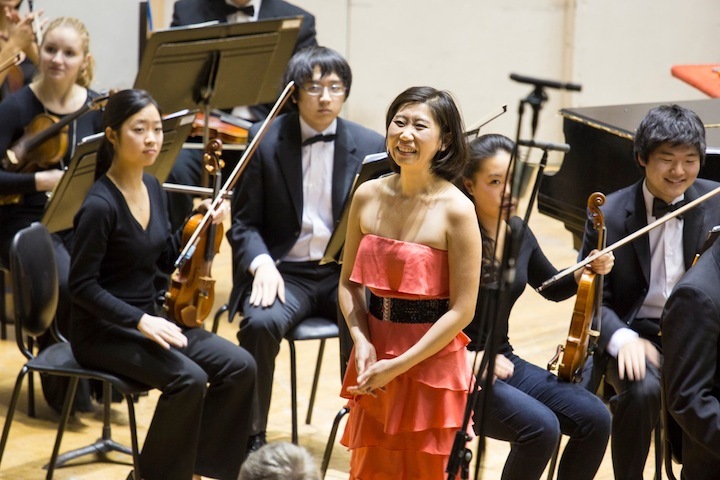 The whole work is like one long cadenza – not one of the Ear’s favorites — so it was refreshing to hear Yang emphasize the quiet passages and subtlety, all the while bringing out the dialoguing back and forth between the piano and the orchestra. 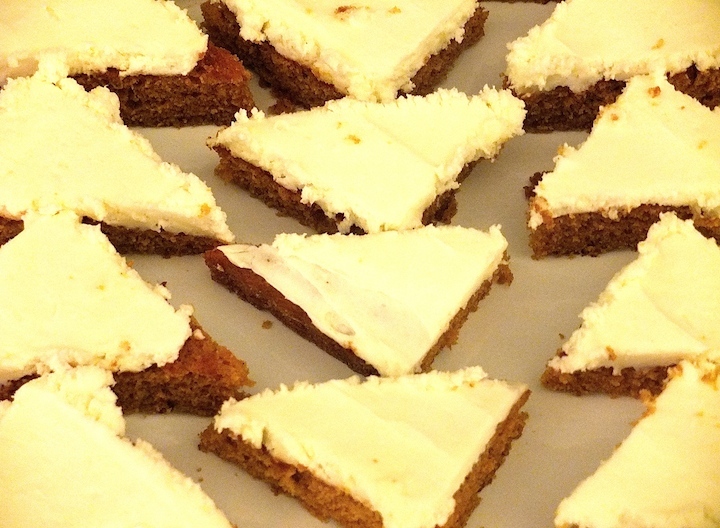 And after the music, we went to a quiet but friendly reception that featured coffee and tea as well as chocolate cake and pumpkin bars (below), set out much like a Wayne Thiebaud painting. It was a chance to meet the musicians and thank them for a splendid evening. The Ear is betting and hoping that next year will find the new format repeated. Tinkering with failure is one thing. But why tinker with success? Music and love are inextricably linked for me. In fact, I am quite sure that much of the very best music in all genres is some kind of love song – expressing love of another person, an idea, a landscape or a flower, an art object, an idea or even a God. For me, nothing expresses love and deep feelings as much as music. Nothing even comes close, not painting or drawing or sculpture, not the best prose or even the best poetry, which also move me, but just not as much or as deeply. So today I offer two pieces for my Valentine. The first is by Robert Schumann (1810-1856), the slow third movement from his Piano Quartet in E-flat. 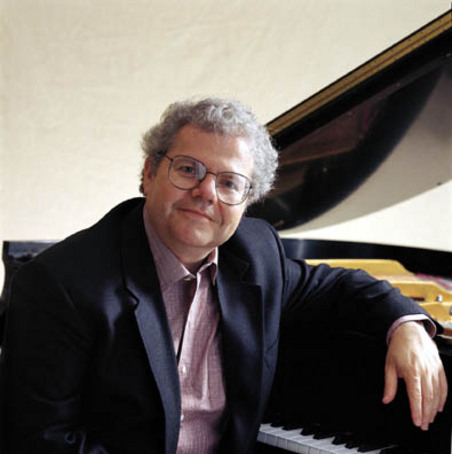 It is a piece that we both discovered and first heard together, decades ago at the Wisconsin Union Theater in Madison, Wisconsin, when the great American pianist Emanuel Ax (below) and the Cleveland String Quartet performed it. Was there ever a composer who captured romantic love and longing better than Robert Schumann? Some come close –- J.S. Bach in many different works, among which I single out the slow movement of the F minor violin sonata; Mozart’s “Forgiveness Quartet” in “The Marriage of Figaro”; Beethoven in many movements of his piano and string sonatas, string quartets, symphonies and concertos; Wagner in the “Love Death” from the opera ‘Tristan and Isolde”; Puccini in the first act of “La Boheme”; Chopin in certain works like the Ballade No. 4 and the Largo from the Sonata No. 3; Brahms in his F minor Piano Sonata, his “German” Requiem, his songs and some of his late piano pieces; Debussy in his “Clair de lune,” the slow movement to his String Quartet and some of his piano preludes; Prokofiev in his ballet score to “Romeo and Juliet.” And there many more. The other piece is the song-like last movement of Franz Schubert’s penultimate Piano Sonata in A Major, D. 959. Like Schumann, Schubert (1797-1828) returned again and again to love, especially in his art songs, his chamber music and his piano music. 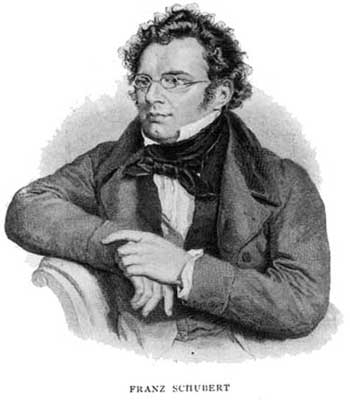 Empathy and compassion, humanity and love, are what make me turn more to Schubert (below) than to Beethoven these days. 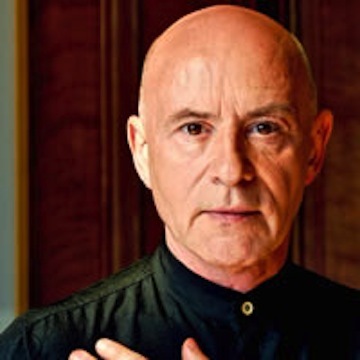 And once again, this is a work I first heard sitting next to my Valentine, when the young Christoph Eschenbach (below in a more recent photo) performed it many years ago at the Wisconsin Union Theater, before he turned to conducting. It was one of those times your hand instinctively reaches for the other person’s hand and you are joined in love and beauty. Much like love itself, the end of the songful music often seems like it could and will stop, only to go on triumphantly and movingly. I also identify other works with my Valentine, especially Bach, Brahms and Faure. But these two are among the essentials. Thank you, Valentine, for loving me; for bringing me a better life and making me a better person. I have always loved you, I still love you and I will always love you. Now, readers, it is your turn: THE REQUEST LINE IS OPEN! What piece of music best expresses Valentine Day for you and for your Valentine? Which piece would you dedicate to your Valentine? 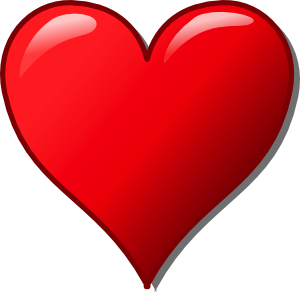 If this blog were yours, what music would you post for your Valentine? Let us know in the COMMENT section with a link to a YouTube video performance, if possible. And Happy Valentine’s to you all. I hope you are all as lucky in love as I have been. Classical music: Robert Schumann is the best composer to celebrate Valentine’s Day. Can you name another? Today is Valentine’s Day, when we celebrate romantic love. Maybe you can even send this special posting as an email to your Valentine. In any case, if you are looking for pieces of classical music to play or listen to that are appropriate to celebrate Valentine’s Day, you have a lot of choices. 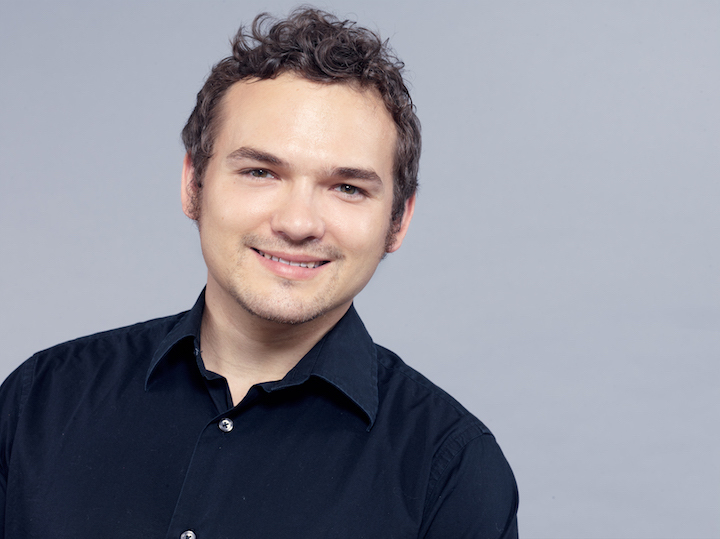 The Ear can think of specific pieces by Bach, Handel, Mozart, Beethoven, Schubert, Chopin, Brahms, Verdi, Wagner, Tchaikovsky, Rachmaninoff, Dvorak, Faure and Poulenc, to name just a few of my favorites. 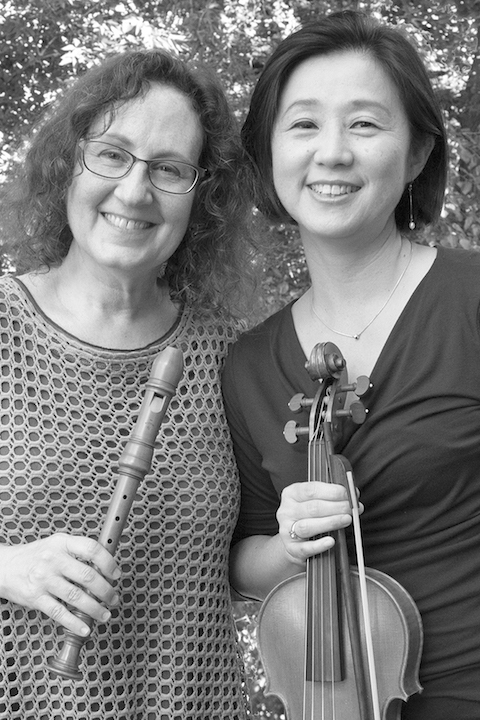 Many of them composed “romances” or pieces that could easily pass as a romance, some embodying requited love and some embodying unrequited love. 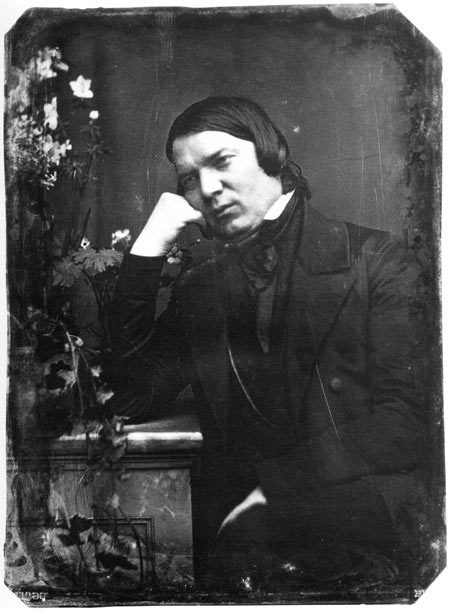 But I still think that the one composer who should be most identified with Valentine’s Day is Robert Schumann (1810-1856 and below in a photo from around 1850). 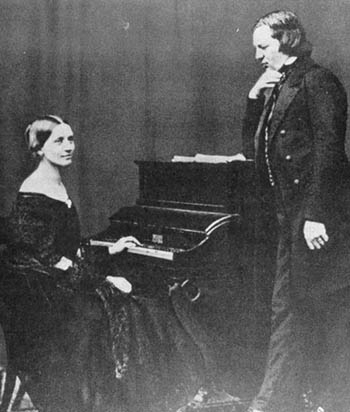 His deep and endless longing for Clara Wieck (with him, below), the young concert pianist who eventually became his wife — and after his death his champion — against the vociferous objections of her father, is palpable so much of his music in just about every form or genre including solo piano music, songs, chamber music and symphonic works. In fact, I think one can argue that Schumann’s uncanny ability to capture love and passion in memorable and great sound makes him THE central Romantic composer of them all. Love and longing infuse his works. And then there is the magnificently poetic Piano Concerto, which is filled throughout its three movements with great moments of longing. And here is the opening of the first movement of that same Piano Concerto, dedicated to my own Valentine: I love you. Always have and always will.